Greater Richmond ARC opened its first location in Henrico County at 8030 Staples Mill Road on April 30 to serve adults with disabilities. Conveniently located near shopping centers, parks, libraries, and other points of interest, ARC@Staples Mill provides a wide range of activities. A recent field trip to Lewis Ginter Botanical Garden’s M & T Bank Butterflies Live! is a highlight. Next up is a trip to the Science Museum of Virginia. ARC @Staples Mill activities include volunteering in the community with Meals on Wheels. On-site, there are social games, karaoke, and physical fitness, along with sewing and cooking classes, where participants recently prepared a tasty trail mix. Arts and crafts are featured, and budding artists can display their work at the upcoming organization-wide ARC Art Show on June 30 at its 3600 Saunders Avenue headquarters. Coming soon: ARC @Staples Mill will also be opening Adult Day Health that includes a memory program to serve people with dementia and Alzheimer’s. 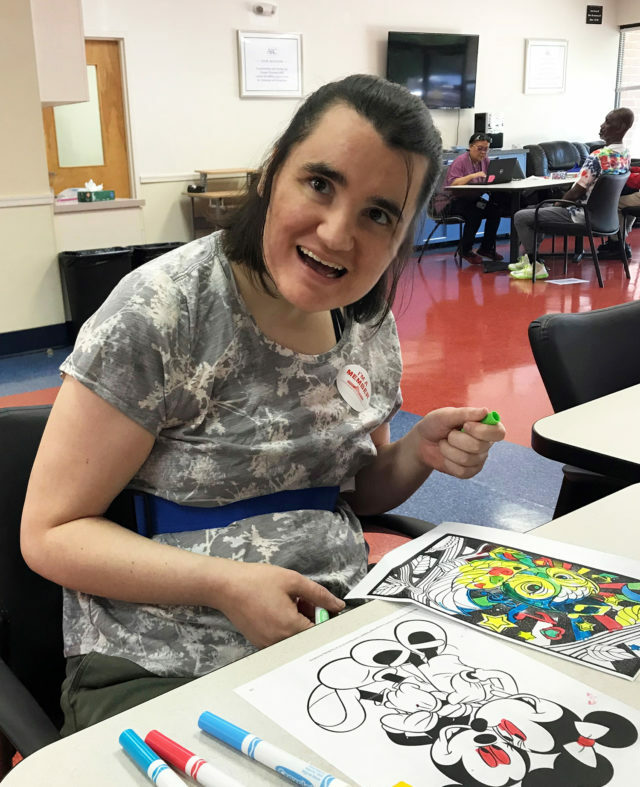 For Lilli and her family, ARC @Staples Mill provides care in a safe and nurturing environment. “We are most grateful for the leadership of Richmond ARC and the kind services of its staff,’’ her dad said. ARC @Staples Mill is currently accepting new clients. For more information, contact intake specialist Kris Smith at Kris.Smith@richmondarc.org or call (804) 665-1283.